When I was a child, I would sometimes assemble all the stuffed animals in the house so that I could teach them what I had learned in school that week. If I also found a parent, grandparent, sibling, pet, neighbor or anything else with a face, I would rope them in for my lecture, as well. In college, I was a resident assistant in the residence halls for three years. I liked the job my first year, but I really hit my stride starting my second year when I became an academic resident assistant. I still had many of the same functions as an RA, but I had the additional role of teaching students in the residence hall how to succeed academically. In several classes and jobs, I became a tutor or I helped come up with training procedures. When I get the chance, I naturally gravitate toward jobs in the field of education. I loved being a substitute teacher for a year and a tutor for 3 years. In the church, I have always felt energized by teaching, preaching and mentoring opportunities. I am wired in such a way that I will always look for opportunities to teach. When I was young, I had such a strong drive to teach, if I couldn’t find any real people to subject to my lessons, I would call together the stuffed animals. In one of my seminary classes, I was assigned to reflect on what I thought my life theme was. I was supposed to look for patterns in the jobs I had held, the experiences I had found to be life-giving, ministries in which I had participated, etc. As I reflected alone and with others, it seemed as if my theme had something to do with teaching, training and developing other people so that they could become who they were called to be. I believe this relates to my calling. I believe I am called to Cambodia, but I don’t mean that I heard an unmistakable voice tell me exactly what to do. While God can certainly work through crystal-clear, audible callings, my view of how calling normally works is more in line with Frederick Buechner’s definition: “The place God calls you to is the place where your deep gladness and the world’s deep hunger meet.” In other words, you try to understand who you are and you try to understand the ways in which the world could use more people like you. Then you choose some place that seems to be at the intersection of those two areas. The global church has a need. I believe that there is a significant need for education and training programs for church leaders in Cambodia. I have a life theme that seems as if it could help the church meet that need. 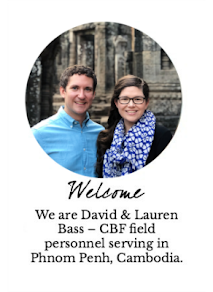 Lauren has been doing the same process of discerning who she has been created to be and how that intersects with the world’s need; Cambodia seems like a good fit for her, too. As we discerned this together, the case for Cambodia became very compelling. As best we can tell, this position offers the best intersection of the world’s deep hunger and our deep gladness, the kind of gladness that only comes when we use the gifts God has given us in service to God’s kingdom. Is this the perfect fit? Probably not. Will it get messy and difficult? Probably so. I don’t have this calling thing all figured out, but that shouldn’t stop me from taking this next step. 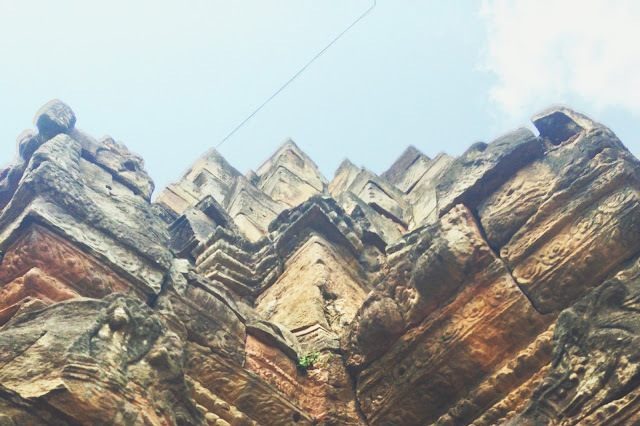 In next month’s blog post, I will share some more about why Cambodia needs pastor training and how I think I will use my gifts of teaching, training and developing people while I am there. In the meantime, I encourage you to reflect on what your theme is. What patterns can you discern in your life that stay somewhat consistent through the wide range of jobs, ministries, relationships and experiences that you have had? Where have you experienced satisfaction, even in the midst of difficult times? What may God be trying to tell you through your deep gladness?